Class Instructor: Krista Atkeson This has been a hit with the kids! These lessons are recommended for kids in 3rd grade and older, although younger kids with a desire to learn are welcome! Learn how to begin and end your knitting! Learn to knit --- an absolute beginner class! 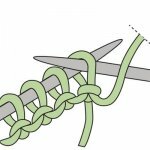 Learn or master the purl stitch. 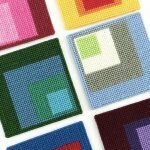 Learn how to Needlepoint and begin your first project. You're invited to come to one or all of the classes. Join Krista on Thursday evenings for a KAL of the super popular Nightshift Shawl by Andrea Mowry. Using worsted weight yarn and your choice of color combos (use as little as 3 colors or up to 6). Are you tired of knitting scarves? Are you ready for a project? This class is perfect for knitters who have learned the basics but aren't sure what to do next. Each session is divided into parts to help you navigate the project process. Are you tired of knitting scarves? Are you ready for a project? This class is perfect for knitters who have learned the basics but aren?t sure what to do next. Each session is divided into parts to help you navigate the project process.